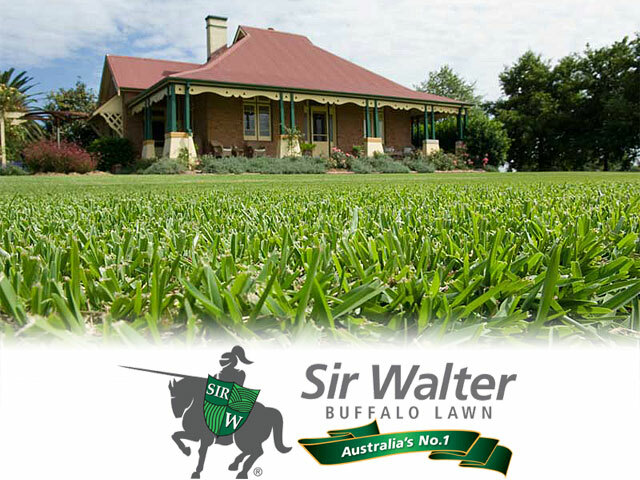 The Australian developed, versatile soft leaf variety of Buffalo grass Sir Walter, now dominates the Australian Instant Turf market due to its adaptation to most lawn environments around the country. Propagation is by turf and vegetative methods only. Regular mowing improves the quality and look of a Soft leaf Buffalo lawn. The ideal mowing height is 30-40mm. Mow more often in spring and summer. Less frequent mowing is required in autumn and winter. , recycled water can be used as an irrigation source, adapts to most soil types.